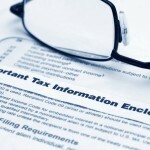 When the IRS audits a client’s records they usually require many documents. In the past, printouts or other backup documents for the audit were provided to the IRS by the tax preparer for the audit process. That process has changed: The IRS now requires a copy of the existing QuickBooks company working file. We have a utility – a proprietary program – that will successfully extract the company financial information with a certain date range. Although the process is highly technical, it is successful and tax preparers are excited about the ability to have their client’s information extracted for audits. Download the complete white paper and case study here.